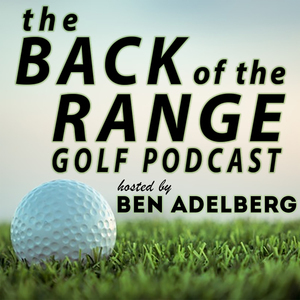 We found 10 episodes of The Back of the Range Golf Podcast with the tag “usga”. It's MASTERS WEEK! Our guest this week tees it up at the Masters by way of his runner-up finish at the 2018 U.S. Amateur at Pebble Beach. Devon Bling, sophmore at UCLA, went on an impressive run in his first U.S. Amateur appearance at Pebble Beach. We spoke about his humble beginnings at his home course, China Lake, in Ridgecrest, California. We discussed college life in LA, the run at the U.S. Amateur, and we also played a game of "BLING OR NO BLING". You don't want to miss that! While everyone is getting ready to watch THE PLAYERS this week, there is only one man on the bag for the PLAYERS Champion, Webb Simpson. Our guest this week is that man: Paul Tesori. This is an amazing episode where we talk about his twenty years of caddying on the PGA Tour, his days playing the tour, his All-American career at Central Alabama and UF, and most importantly....The Tesori Family Foundation. This episode has some spice to it! (See what we did there?) Dottie Pepper joins us this week at The Back of the Range and we covered some amazing topics. Golf on TV, the filth of Poppie's Pond at the ANA, her incredible playing career, and what it takes to prepare to cover the PGA Tour for CBS. This is a VERY fun episode and we barely kept up with her! Our guest this week is Kristen Gillman, the 2018 U.S. Women's Amateur. She just turned pro and is a rookie on the LPGA Tour, but we chatted about her amateur accomplishments that include....well, just about everything you can imagine. Curtis Cup, World Amateur Team, All-American at Alabama.....oh, and she actually has TWO U.S. Amateur wins. Her first? At the age of 16. She's got some serious game and some great stories! Our guest this week is Chip Lutz. Where do we begin with this guy? How about back-to-back Canadian AND British Senior Amateur Championships in 2011 and 2012? We chat about his days at the University of Florida playing with legends like Gary Koch and Fred Ridley, his meteoric rise after turning 55, practice rounds with Tom Watson, and an amazing story about Lord Byron Nelson.